We have been finding out about how people in other countries celebrate at Christmas time. In Latvia, it's really snowy and cold now. We tried some traditional Latvian folk dancing. It was a lot of fun! We are really enjoying getting ready for our nativity performances, singing the songs and talking about the Christmas story. We can't wait to welcome you all to join us on Tuesday 12th December and show you how brilliantly we can perform! Our Jolly Christmas Post Office is open! We are enjoying helping the Jolly Christmas Postman to get all of his deliveries ready this week! Our post office has been so busy with letters and cards we have written and parcels we have wrapped. Some polar animals have arrived in our classrooms this week. Perhaps it's because the weather has become so much chillier? We are reading 'Lost and Found' and finding out all about penguins. I wonder if there will be ice in our outdoor water tray this week? We loved our RAK week last week! Surprising all of the classes with the cakes we had made was so much fun and it made us feel really happy too. We talked about being a good friend and had lots of ideas about what that meant. We are kind and friendly, we share and play together and we enjoyed finding out about one another. Brrrrr! It's getting really chilly now that November is here. This week, we're thinking about the changes that happen outside at this time of year. The leaves have fallen and it was so frosty this morning. 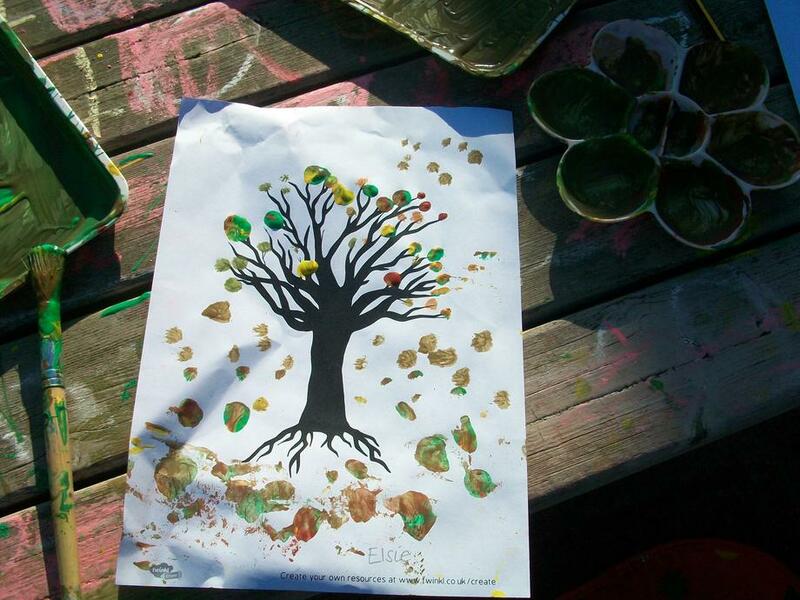 We have experimented with colour mixing to create paintings of autumn trees. 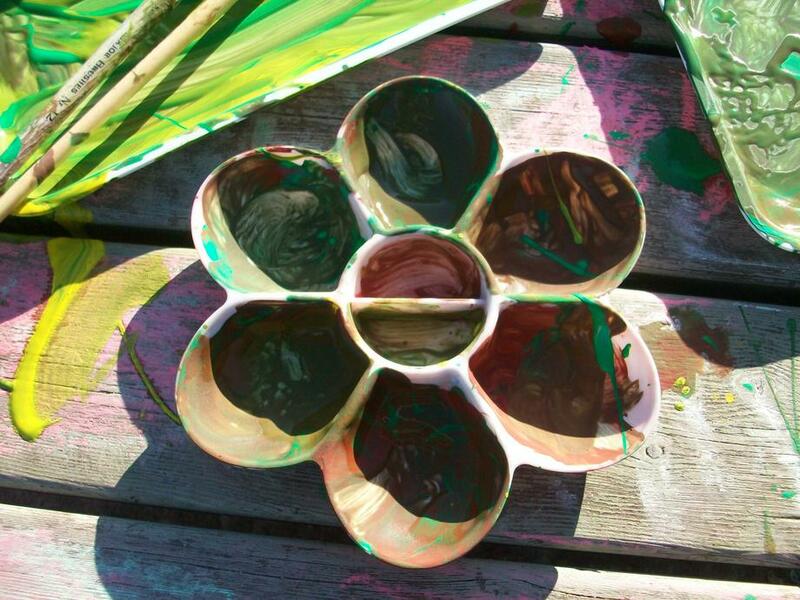 Mixing green, orange and yellow, we found we can make lots of different shades that match the falling leaves. We talked about why birds might find it difficult to find food in the winter months. 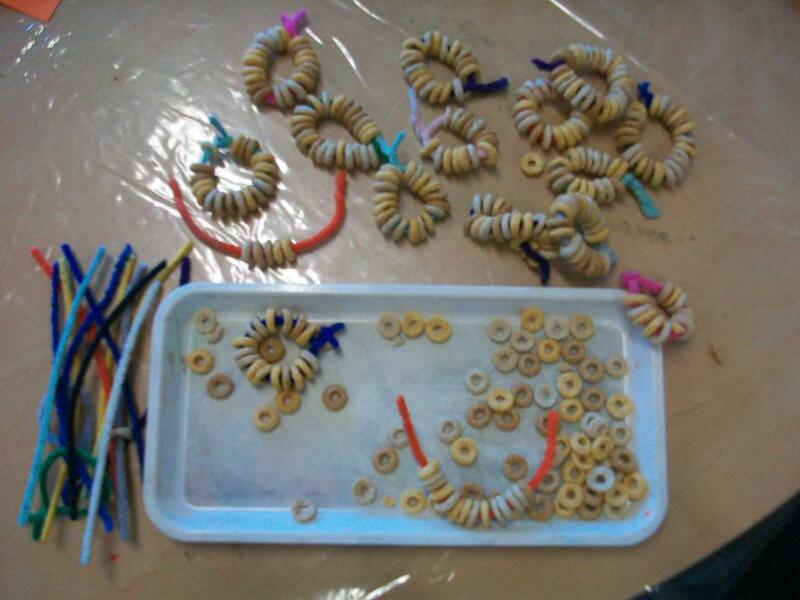 To help them, we have made bird feeders. They can fill their hungry tummies by pecking the cereal! What an exciting start to our new term! We began our week with some potion making, ready for Halloween. The potion fizzed and bubbled and even changed colours! We wondered what the potion might do - would it give us magical powers or turn us into frogs? 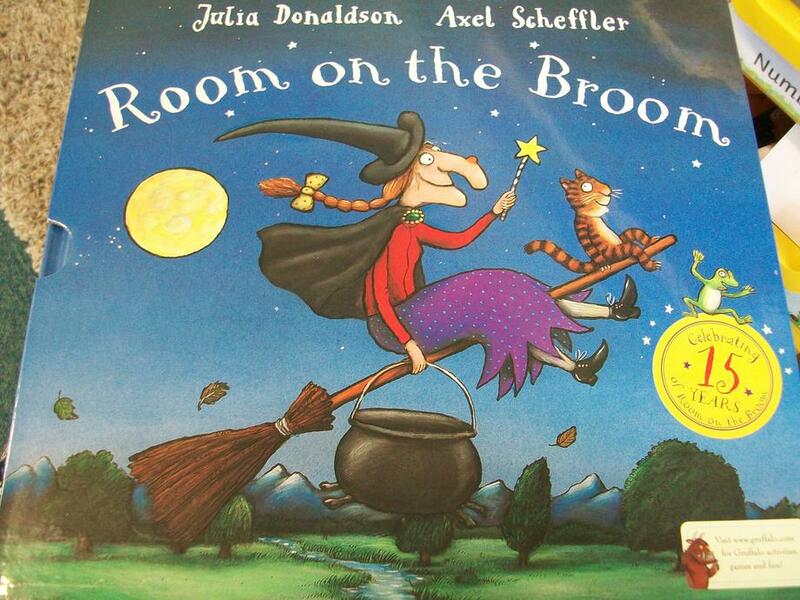 We are also enjoying 'Room On The Broom' by Julia Donaldson. We are listening out for rhymes and wondering whether there is enough room for us!